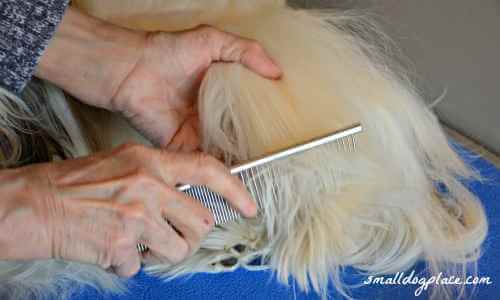 Is brushing a long haired dog the reason you chose to let your small dog's hair grow out? Or, do you like the look, but hate the work. I know I was one of those who never seemed to find time to brush, but I loved the long silky coat. Over time and with the help of a pet grooming course, I learned to love brushing time. I'm hoping this article will provide the information you need so you can enjoy the experience as much as I do. As any small dog owner knows only too well, keeping your pet’s coat looking and feeling great can at times be challenging. There are many reasons for this, whether you just have a particularly messy pup that always manages to get their coat tangled or maybe for some it’s even worse, your furry best friend does all they can to avoid being groomed. Whatever the reason for your struggles in keeping your dog’s coat looking great, making sure you brush and comb your dog’s hair regularly has some benefits for both owners and their pets. This guide will explore why it is important for pet owners, particularly of small dogs to keep their canine’s coat in check. While doing so, we will guide you through the different types of combs and brushes available (even looking at the differences between the two) and drop in some helpful tips along the way. Why Brush Your Dog’s Coat? We’re going to kick off with a question we are sure most dog owners have asked at one time or another. Why exactly do you need to comb your dog’s fur? Now if you’re one of the lucky few who owns a pet with extremely short hair, or even better a long coat that somehow avoids getting tangled then you may be excused slightly for not want to brush your dog’s fur regularly. This means you can take care of hair when and where you want to, stopping your dog from leaving it on furniture or around the house for you to clean up later. Brushing your dog’s hair is a great chance to get a close look at their coat and skin for any unwanted lumps or intruders. Mats and tangles can make a coat look like a mop head or worse. Regardless of the appearance, mats and tangles can cause your dog much distress. If you see your long haired dog scratching in one spot such as behind the ears or behind the front legs, inspect the coat. It might not be fleas! It may be mats. The time you spend brushing, combing and general grooming is a good time to help your dog feel comfortable. Most dogs will tolerate grooming as long as you provide a gentle experience. Yanking mats out or fussing at the dog for not cooperating will turn a positive experience into a nightmare. Now, this really depends on the breed of your dog and on their type of coat. 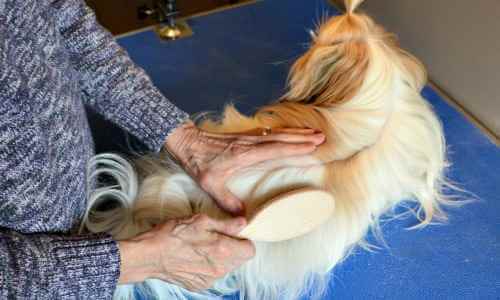 Long haired breeds should ideally be brushed at least once a week although there is nothing wrong with turning this into a daily routine if you have the time. Those dogs, however, who maintain long coats will need to be brushed daily. On the other hand, short coated dogs don’t need as much brushing, and you can typically judge if the time is right when their coat gives off early signs of tangles. 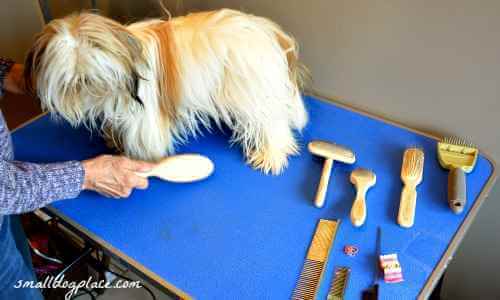 Using the right tools for the job makes brushing a long haired dog so much easier. Now, this is a step that many pet owners usually overlook only to regret later. Before jumping into how to brush your dog (covered in the next section), it is important that you prepare your dog for being groomed. This step is particularly important for puppies and small dogs, and it is important to be gentle throughout the whole process. Easing your dog into being groomed is a must, start off slowly and continually reward your dog, particularly if they’re new to being brushed. This will lead to positive associate being formed, and eventually, your dog will have no worries at all about being groomed. One key tip is to keep the first few brushing sessions slow and short. 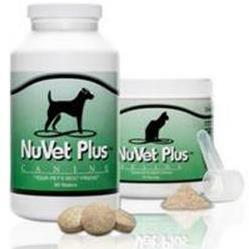 This will lead to your pet becoming more familiarly and comfortable with the process over time. Luckily with time, many dogs find the procedure of being brushed relaxing, and so it should meaning it’s important to keep it that way with frightening or accidently hurting your pet. Look to find certain ways your small dog likes to be brushed and focus on that rhythm to make the brushing session enjoyable for both you and your dog. When Brushing a long haired dog, Remember to brush away from the dog's skin and in the direction the hair grows. Finding the way in which your small dog likes to be brushed really is the best way to keep them happy. Once you find a motion that keeps them calm and comfortable, you will discover that they are relaxed enough for you to then begin checking for any health issues mentioned above and to detangle their hair in a more rigorous fashion. Before even picking up the brush, spray their hair with a misting of conditioning spray. This helps remove some of the tangles, reduces static electricity and protects the hair from breakage. Here are a few of my favorite misting sprays. This doesn’t mean telling your pet to go away! This is grooming term to brush down away in the direction your dog’s coat grows and then away again from your dog’s skin. This will maximise comfort for your dog and allow you to avoid any unwanted injuries. As already mentioned when it comes to easing your dog into being brushed it is important to remember to be gentle however this right for older dogs as well. You would not want a hairdresser grabbing and shaking your head while giving you a hair cut. The same applies to your dog when you brush their coat. 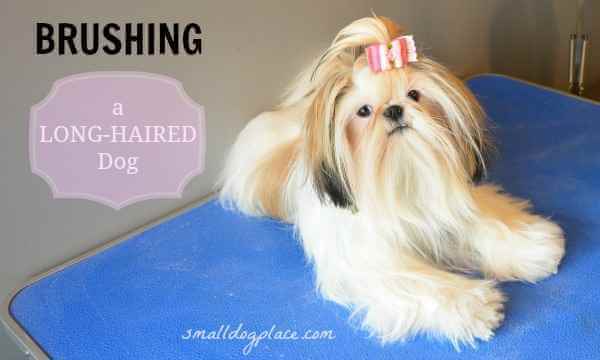 Even when detangling your small dog’s fur it is important to do so gently, pulling aggressive or stretching your dog’s hair will only lead to more damage being done. Remember when brushing a long haired dog, gentle is the name of the game. "Gentle is the Name of the Game" when brushing your long haired dog. Some pet owners forget that when brushing their dog’s coat they can also do so with a little bit of help. This is particularly important if your dog’s hair has become extremely matted and a hair conditioner or spray can help when it comes to removing the tangles in pain free manner. By now you hopefully have a good understanding of how to brush your small dog’s coat effectively. However, to send you on your way successfully this guide will also explore the different types of dog brushes and combs available and what exactly the differences are between the various types. When it comes to finding the right brush for your small dog you need to do your homework. 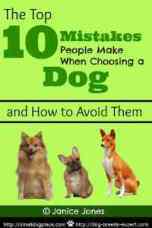 However, with so many choices available, we could write a whole guide just to do with dog brushes and the differences between. When brushing a long haired dog, pin brushes are the perfect choice. A pin brush contains wired pins that are tipped with rubber or plastic to prevent injury or damage. A pin brush is ideally used for the main part of the brushing session. A slicker brush is similar in many ways to a pin brush, containing rows of wire pins but is suitable for all types of coats. Slicker brushes are also great at collecting any loose fur so can be used with a pin brush to finish the job. Ideal for smaller dogs with short coats a bristle brush quickly removes any unwanted dirt or debris from your pet's coat and leaves a great looking finish. What are the Differences Between Brushes & Combs? Quite simply, dog brushes allow you to style and manage your dog’s coat in the same way we brush our hair. Allowing you to stick to the basic directions above you can present your dog’s hair in some styles. Combs are usually used either after brushing to help you manage your dog’s coat if you feel you need some extra help with finer details or when searching your dog for fleas and ticks as the smaller teeth of the comb mean they are not as easy to evade as a larger brush. When brushing a long haired dog, don't forget to comb too. Combs can also be used to tease out fine tangles and mats. So there you have our round up on how you can properly brush your dog’s coat while making it a pleasant experience for both yourself and your pet. We hope the steps outlined above will help improve how you go about brushing your dog’s coat as well as making the experience easier if you are a new pet owner.